NVIDIA and VMware announced the development of new technology that will enable the remote delivery of high-end, workstation-class virtual desktops and applications for engineers, artists and scientists. NVIDIA® and VMware, Inc. announced today at VMworld® 2011 a strategic partnership to advance virtual 3D graphics technology and enable the remote delivery of high-end, workstation-class virtual desktops and applications for engineers, artists and scientists. A joint technology preview showcasing the initial results of the partnership is being demonstrated at VMworld in the VMware booth (VMworld Booth #91). "NVIDIA Quadro is the established market leader in professional 3D graphics because of our relentless passion for providing groundbreaking innovations to our customers that deliver the ultimate experience in terms of visual quality, reliability and performance," said Jeff Brown, vice president and general manager, Professional Solutions Group, NVIDIA. "Together with VMWare, we're bringing that same Quadro commitment to virtualized desktops. Professionals who desire the highest quality virtualized graphics can look forward to getting this solution from us soon." "Working together, VMware and NVIDIA are pushing the traditional boundaries of desktop virtualization by bringing workstation-class 3D Graphics to hosted virtual desktops and universal application access," said Vittorio Viarengo, vice president, End-User Computing, VMware. "Once only needed by power-users, 3D graphics are fast becoming a requirement amongst all end-users as they use Office 2010, and even the Windows 7 Aero interface. Our partnership with NVIDIA will enable 3D capabilities for power-users as well as a growing number of use cases from any endpoint device, even tablets and thin clients." First shown by NVIDIA as a technology demonstration at this year's SIGGRAPH conference in August in Vancouver, Canada, the NVIDIA Quadro Virtual Graphics Platform provides Quadro professional graphics performance in a virtualized environment via a remote server. It empowers users to take advantage of server-based Quadro professional graphics cards via a network connection, providing a high level of graphics horsepower to users on demand. Users requiring access to graphics-intensive applications, such as engineers, artists and scientists, can work from almost anywhere, without being tied to their workstation. Additionally, an enterprise's intellectual property, whether it is CAD designs, 3D animations, or simulations, remains in the data center, in a secure and manageable environment. Use cases for the technology include the delivery of workstation-class virtual desktops with VMware View™ and 3D acceleration of applications via VMware Project AppBlast™, a universal access technology previewed at VMworld 2011, in Las Vegas. VMware Project AppBlast is targeted at enabling instant access to applications from any HTML compatible device without the heavy footprint of the underlying operating system. 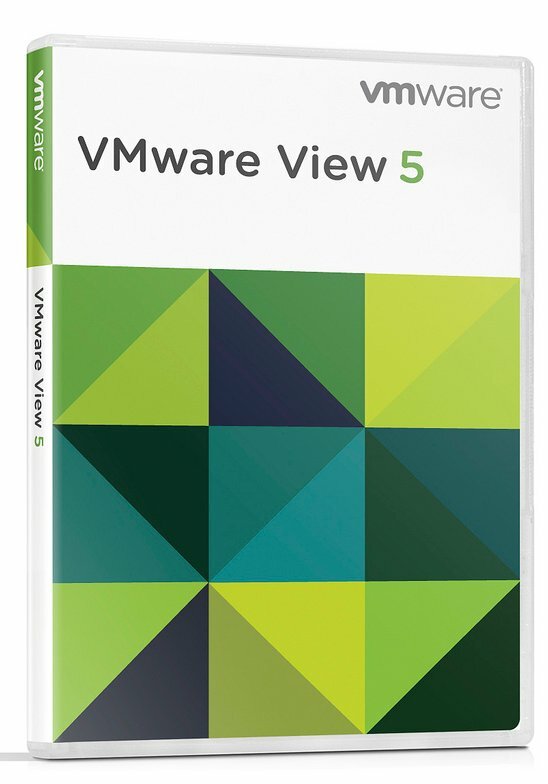 Announced August 30, 2011 at the annual VMworld conference in Las Vegas, Nevada, VMware View 5 continues to help IT organizations empower a more agile, productive and connected enterprise by enabling a better desktop. Built on VMware vSphere®, the industry's most widely deployed virtualization platform, VMware View 5 simplifies IT manageability and control, while providing end users the highest fidelity experience regardless of WAN or LAN connections. View 5 delivers protocol enhancements that provide as much as 75 percent bandwidth improvement over LAN and WAN connections, advanced support of 3D graphics, scalable unified communications integration for voice and video media services with industry leaders including Cisco, Avaya and Mitel and virtual desktop personalization with integrated persona management.